Today’s Security Operations Centers are inherently at risk. Plagued with skill shortages and increasing incident volume, CISOs need to counteract widespread threats—like phishing, exfiltration, ransomware and lost devices—fast. A unified Security Incident Response Platform helps expedite your response by optimizing processes and empowering your security team. Are you ready for a platform that accelerates the security incident lifecycle across technical teams? 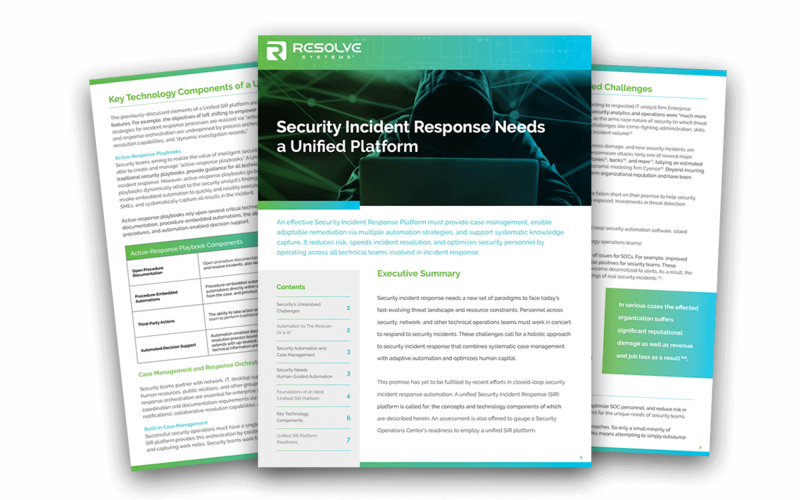 Download the White Paper to assess your readiness for an end-to-end solution for security incident response.